"Il Pozzo dei Dannati" è una trasmissione Heavy Metal in onda da Settembre a Luglio, su www.yastaradio.com. 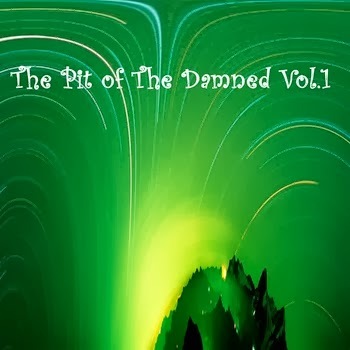 The Pit of the Damned is a heavy metal radio show on air in streaming on www.yastaradio.com from September to July. 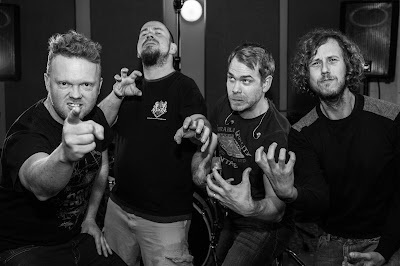 Sergeant Thunderhoof is Dan Flitcroft - Vocals, Jim Camp - Bass, Mark Sayer - Guitars and Darren Ashman - Drums. A few details about us..... we all have full time jobs and families to feed. Sergeant Thunderhoof is a labour of love for us all, we would never do this for the money. We do however, really appreciate your support, whether it be buying one of our records, coming to a show or simply listening to us and enjoying what we do. Any money we make is put straight back in to the band. If we manage to get some money back from this album, we may consider doing another next year. We can only do this with your help, so thank you for being awesome! 'Ride of the Hoof' is the second release from Sergeant Thunderhoof and follows last years debut Ep 'Zigurat'. A few details about the new album..... as with everything we've done, it was completely self financed. We once again recorded it at Stage 2 Studios in Bath (UK) with the very talented Ben Turner earlier this year. Artwork is again supplied by Sara-Jane Swettenham and we think you'll agree, it's pretty awesome! 'Ride of the Hoof' continues the lyrical themes from 'Zigurat' and continues to tell the story of the life of the Sergeant himself! Hi Guys, nice to talk with you (even if by mail only). Would you spend some words on the band? I guess you had to explain that a million of times, but, why “Sergeant Thunderhoof”? Dan - I can't quite remember how we came up with it. We were knocking around various silly names and I think that one just stuck. Years ago we used to call Darren (our drummer) ‘Thunderlips’ for a laugh. We were initially going to call the band 'Zigurat' but that ended up becoming the name of our first record. We've since attempted to create some kind of back story for Sergeant Thunderhoof and we're considering releasing a graphic novel. In my head, the Sergeant was some ancient human that existed way before we thought human civilisation began. The new record is an attempt at telling that story. I fell in love with your debut EP 'Zigurat', and I had big expectations on your first album, the fresh 'Ride of the Hoof'. After a deep listening, I have to say that it is very, very good. I love the way your music is heavy and powerful but at the same time it seems always ready to depart for a space trip, and this double nature is something very peculiar, also because your “space digressions” are always functional to the songs, no useless, endless jams. Dan - Thank-you very much! I guess that kinda sums us up in a way. We're not bothered about sticking rigidly to a specific sound or 'genre'. We've all played together in various bands in the past so we have a good understanding of what everyone is capable of. I think also, that with the benefit of hindsight and age, we can appreciate each others input. When we were younger I think we sometimes worried too much about pleasing everyone all of the time, including ourselves. I think now we realise that doing that just restricts what you can do. For instance, I definitely need the rest of the band to tell me when to hold back and when to explode. I think that 'push and pull' in the band makes the music more interesting. It seems, but please correct me if I’m wrong, that you wanted in some ways to evolve your sound from 'Zigurat'. In 'Ride of the Hoof' I found more openness while in your debut EP you were more “observant” of the stoner classics. This was evident to me in some moments of, for example, “When Time Stood Still” or “Planet Hoof”, or in “The Staff of Souls”, a beautiful song that sounds like nothing else in your records. Is there some truth in this? Dan – There’s definitely some truth in that. It’s probably more a case in which when we came to record ‘Zigurat’ we were still a fairly new band. We’d been jamming together for about 4 or 5 months but only once in a while. We never really intended to do anything significant with the band. So that first record just captures what we were jamming. The fact that so many people liked it was a big bonus! With the new album, we were keen to not rush things. I remember one rehearsal session where Jim just said ‘I could play that riff for 10 minutes’ because he loved it so much. So I guess we thought, why not?! "Planet Hoof" is one of my favourites because that pretty much wrote itself. I’m pretty sure we’d almost nailed that in an hour or so. It just sounded right. "Staff of Souls" is something we had jammed with in the past, just something nice to chill out to. When we came to record the album it was thought that it would be a good track to break up the album and give a little light and shade. I really appreciate the way you cure your CDs. I think that today the physical release of a record has to be a nice object; something tempting listeners to buy it, and you did a great work on 'Zigurat'. Would it be the same for 'Ride of the Hoof'? Is the graphic idea yours? Dan – We are big fans of cool album artwork. I don’t care what anyone says but for me, I still think it’s a big part of the whole package. Technology has made us all lazy and ignorant to what is truly great about music. ‘Ride of the Hoof’ is meant to be listened to as an album. There are no singles. Just as ‘Ride of the Hoof’ is meant to be seen with the artwork. The concept for the art was loosely based on the lyrics but we have to thank Sara-Jane Swettenham for the amazing work she did yet again. All of her stuff is hand drawn with pen and pencil and we couldn’t be happier with how it came out. You come from Bath, and if you ask me to imagine some music coming from Somerset I would think to something much more bucolic, in some place between XTC’s “English Settlement” and Nick Drake’s “Bryter Lyter”. Is there a heavy rock scene in Bath? What is your musical background? Do you have many listening in common or do you come from different things? Dan – Somerset has always had a kind of hippy vibe. We live fairly close to towns such as Glastonbury, Salisbury and Wells so we’re spoiled for natural beauty spots and places of historical significance. We all enjoy a nice pint of ale and a good smoke every now and then. I’d say the more psychedelic edges to our music could be inspired by our surroundings. Bath is quite an odd city really. There are plenty of decent bands here but very little in the way of venues to play. Bath sits in a large basin and the town does feel sometimes like a little cocoon. Jim, Darren and myself were actually in a band called Indica for many years (1999 – 2005), and we all come from around Bath. We played experimental, almost jazzy metal with odd time signatures. Towards the end of the band we started incorporating some really nasty, doomy riffs. I think Jim had a lot to do with that because he was getting heavily into his stoner rock amongst other stuff. All of us have a wide ranging taste in music so it would be impossible to pin anything down. I’m a huge fan of people like Mike Patton, Devin Townsend and Alice Cooper. Mark comes from a thrash metal background so it’s been amazing to see him develop as a guitarist over the past few years. Darren has always been a rock solid drummer. I don’t think you could pin his musical tastes down that easily. What are you listening to at the moment? 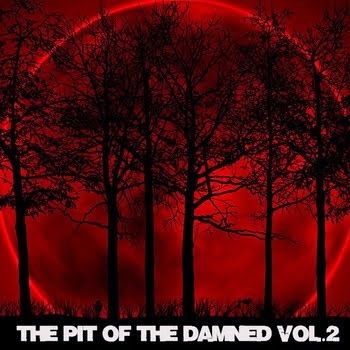 Is there any underground band you would like to recommend to the Pit of the Damned readers? Dan – I can’t speak for the others but I’ve been listening to a lot of Anathema and Dio era Sabbath recently. We played a great show a couple of months ago with Elder and they were stunning. Their latest album is just crushing, I love it. Jim introduced me to Acrimony a couple of years ago and I just keep going back to Shroomaroom. That album has something magical going on, I can’t put my finger on it but everything just sounds right on that one. 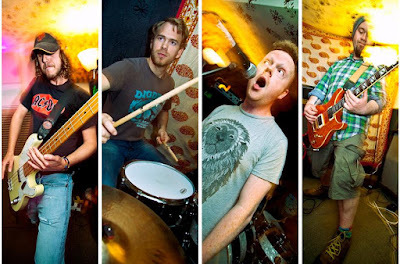 A few localish bands worth checking out, Evil Owl, Baron Greenback, Mother Corona and Valfader. And now, in the end, a simple (it is never simple, I know) “Desert Island List”: three books, three records and three movies you can’t live without. Dan – Crikey, here goes. Willing to be part of the Staff of The Pit of the Damned? Vuoi far parte dello staff del Pozzo dei Dannati? © 2010 - 2017 Il Pozzo dei Dannati - The Pit of the Damned. Tema Fantastico S.p.A.. Powered by Blogger.